In a visual exercise the other day to demonstrate how editors must be mindful of a variety of issues in a story, I donned two different earrings (usually, I wear none); a pin with three snowmen (it’s September); my jacket backward (on only one arm) and a sock (on my other arm). Two different earrings could be inconsistency. The pin could be inappropriate. Or inaccurate. The sock could be something misplaced in a story. Or out of order. The jacket could show sloppiness. Or carelessness. Or inattention. I put myself back together and class resumed. The answer was “false,” I told them. 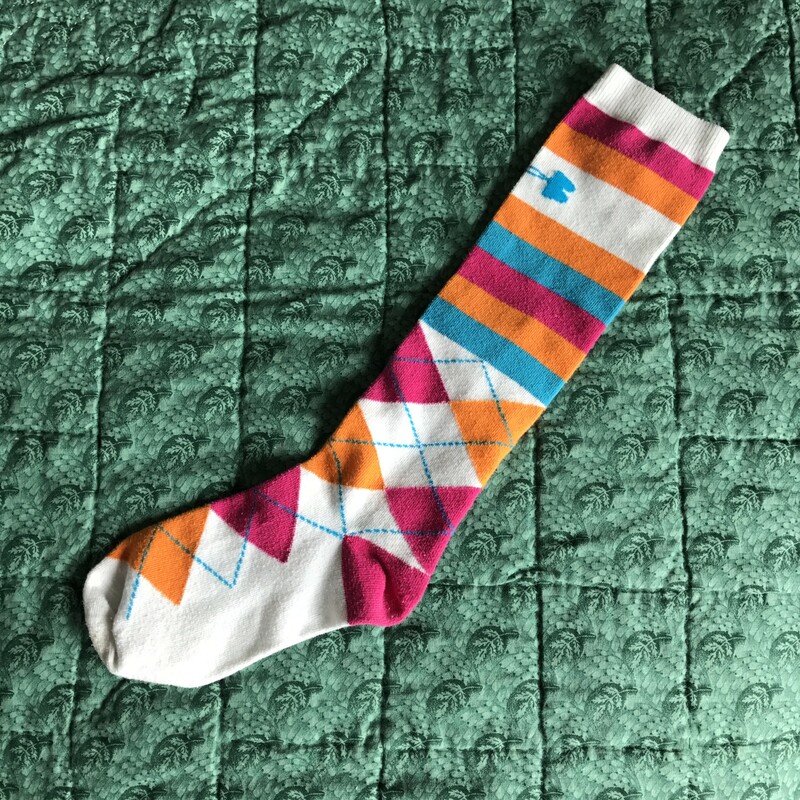 The sock actually had pink and orange stripes, with maybe some aqua. Hmmm … when I got home that day and was taking the sock out of my bag, wasn’t I surprised. No polka dots, true. But argyle? Oh, yes. 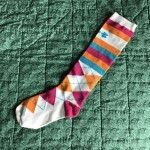 One of the students had recalled correctly that the sock had argyle. My own sock, and I had gotten it wrong. Instant recall can be tricky. Detectives know it. Investigators know it. Anyone who deals with witnesses knows it. We don’t always register what we see. We don’t always correctly recall what we see. We don’t always agree on what we see — even when we see the same thing at the same time. Editors are trained to “see” errors that lurk in stories because they are trained how to find them. That includes, as the students had said: inconsistencies, inaccuracies, inappropriate content. They are trained to find the primary source of information and to trust the primary source. Well, now they know even the primary source can be wrong. That’s OK. They are trained to “see” errors, and they will come to see that, too.